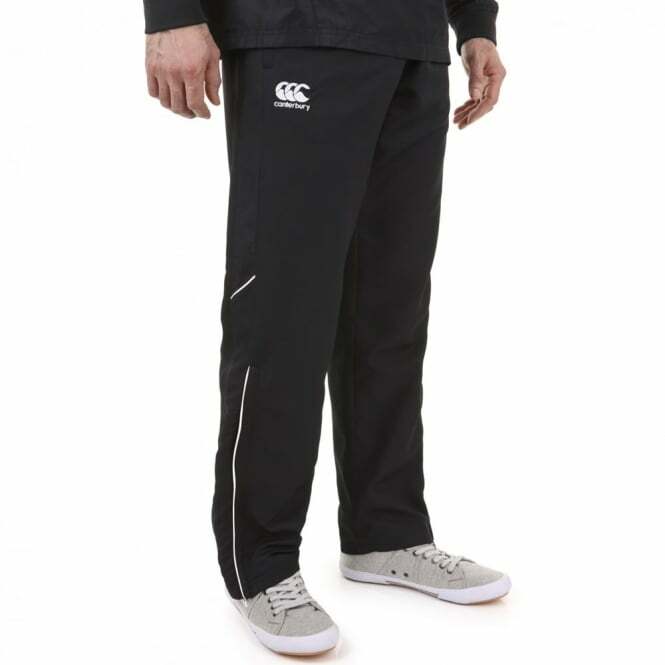 Canterbury team track pants are made from 100% polyester with a mesh lining the Canterbury badge is on the right leg. Canterbury Team Zip Leg Tracksuit Pants / Bottoms 12″ Leg Zip. Zip Pockets. Mesh Lined. VapoShield. Quick dry. Water repellent.Ideal for all sporting activites or could be worn as a casual track pant.